As a fellow emergency responder, I understand the sacrifices made by each of us but also the devotion it requires to fulfill our duties. I am Dave “Chico” Richards, Fire Chief at Pocono Raceway. On race weekends, we staff the third largest paid first responding crew in Pennsylvania, with over 200 dedicated safety workers. By calling the ticket office at 1-800-722-3929 or emailing us at [email protected], our ticket specialists will assist you in ensuring your race experience is exemplary. In the continuation of supporting medical services, 15% of the proceeds from the purchases of the “Emergency Services Package” will be donated to Lehigh Valley Health Network Regional Burn Center. 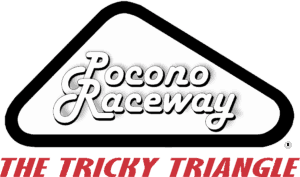 As a proud Fire Chief and member of our emergency responding community, I invite you to join our team during the Pocono 400 on Sunday, June 2nd. I look forward to meeting you at the race.